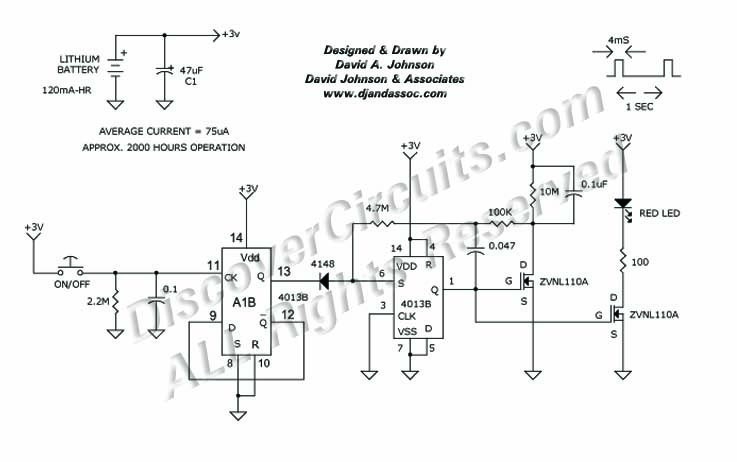 This circuit is similar to Advertising Badge . It uses a CD4013 dual D Flip/Flop IC. The 74HCT74 IC in Flashing LED Advertising Badge #1 does not always work. As in Advertising Badge, a single lithium battery will provide months of continuous LED flashing. It also has a tiny push-button switch to turn on and off the light flashing.